There are cars you're always excited to find, and then there are cars you never even knew existed. 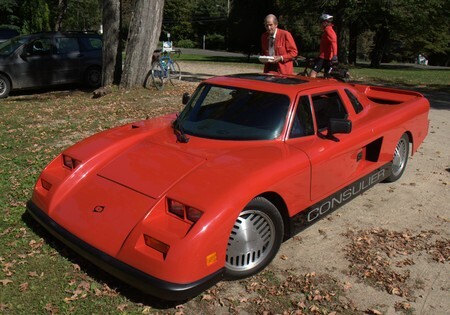 In what can only be described as destiny, a wrong turn somewhere in the backwaters of Long Island led me upon this Consulier GTP-LX, a shining beacon of '80s supercar stardom with an ownership history as unique as the car itself. Consulier Industries was founded by hedge fund manager, economist, and occasional presidential candidate Warren Mosler in 1985. The Consulier GTP was the flagship of Mosler's dream to build a homespun lightweight supercar combining equal parts space age innovation and Chrysler parts bin. 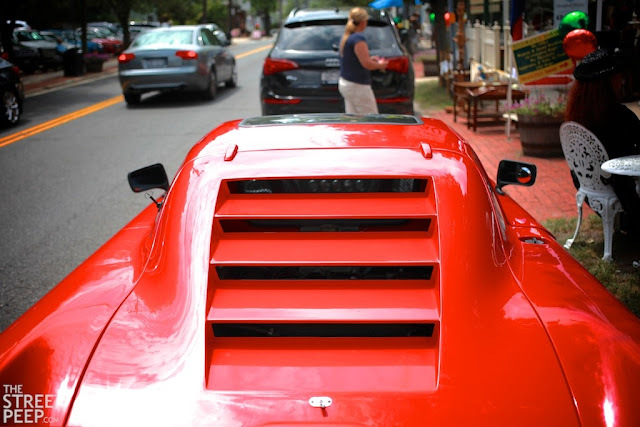 With less than 100 GTPs off the production line and many reportedly owned by Mosler himself, a sighting in the wild is rare indeed. The Consulier was remarkable in that its composite monocoque lacked any structural metal. 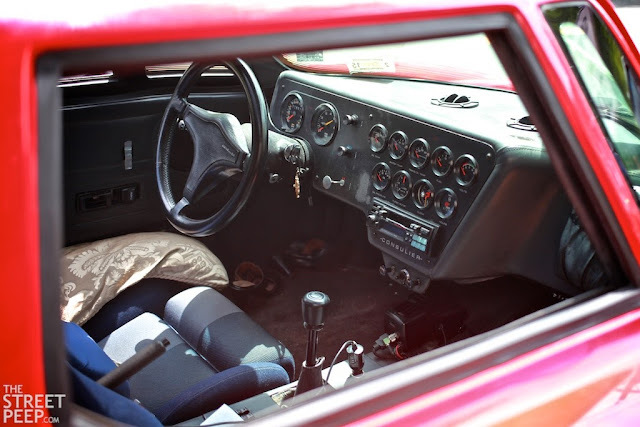 The first production vehicle to be built primarily of Kevlar and carbon fiber, the body weighed in at less than 300 lbs and the GTP tipped the scales at 1,950 lbs - a featherweight compared to period competitors. 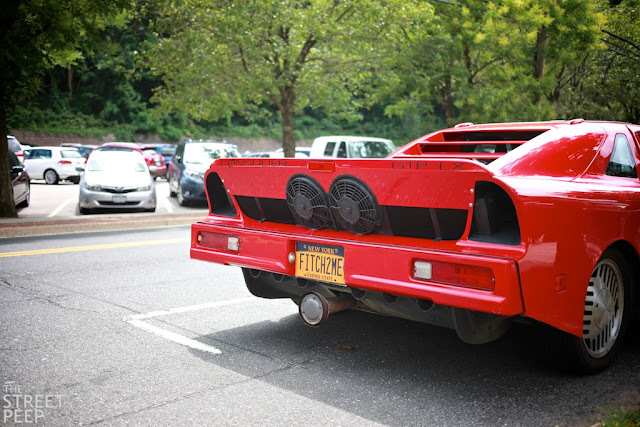 Mounted in the rear is a Chrysler Turbo II powerplant shared by a suite of hopped up '80s Chryslers including the Shelby GLH-S/Lancer and Dodge Daytona. The GTP put down about 195 hp to the rear wheels through a Getrag 5-speed manual and boasted a sub 5 second 0-60 time, a quarter mile in the mid 13s, and a 155 mph top speed - not bad for a car that shared the same block as a Dodge Omni and borrowed a steering wheel from a Chrysler minivan. 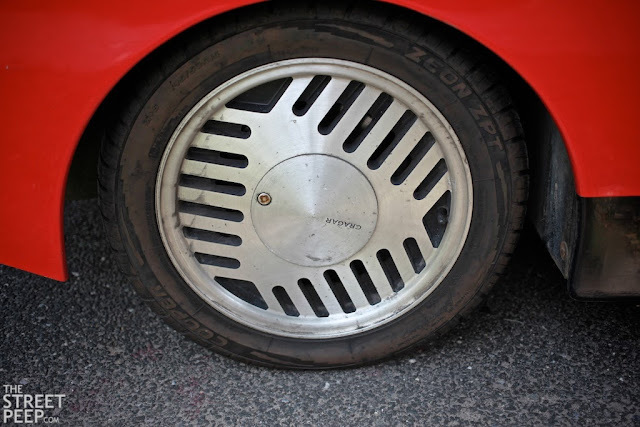 The exceptionally '80s Cragars wheels seen here do not appear to be original equipment, but suit the style well. 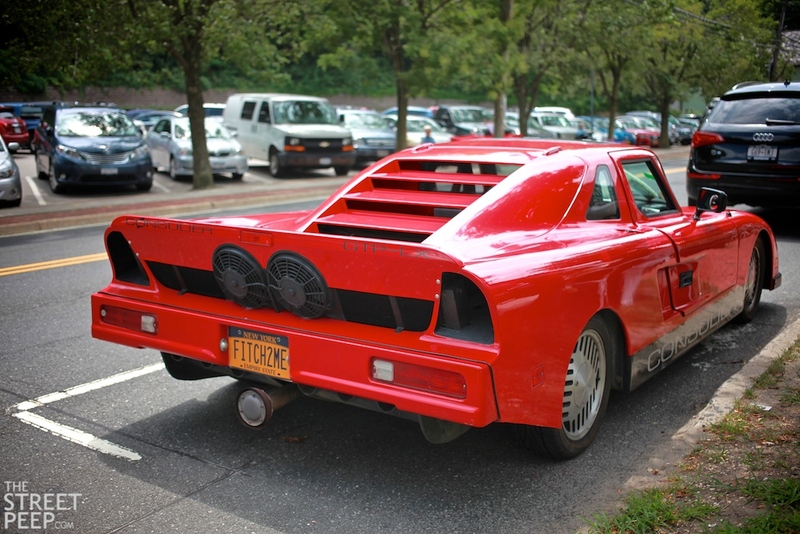 The GTP was steeped in controversy immediately upon launch, with much of it based on an appearance that can be described as... peculiar. This is likely due to the unfortunate fact that Mosler used a LeBaron GTS as a base for most of the production and design work. 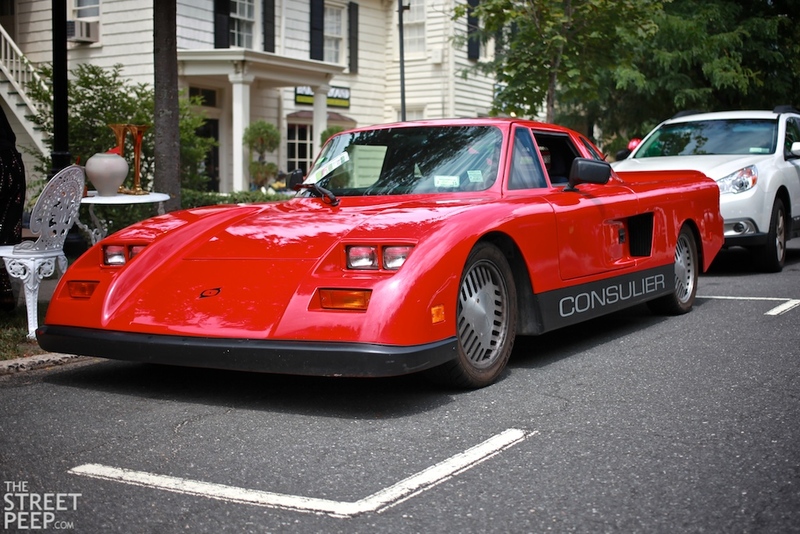 One magazine ran its own redesign contest to the inevitable chagrin of Mosler, and multiple orders of the first production run were apparently cancelled after AutoWeek casually suggested the entire company was fraudulent. However, with the entire automotive world seemingly against him, Mosler persevered and the GTP quickly proved itself as a contender against its bloated rivals with an impressive lead in the IMSA supercar series. Its race legacy was cut short after the organization slapped a 300 lb weight penalty on the vehicle with little explanation, before simply banning it altogether for no reason other than that it was simply faster than everyone else. The base GTP Sport retailed for around $49,000. The $59,000 LX spotted here featured Recaro seats, Alpine audio, sunroof, air, and an optional cell phone - a requisite piece of equipment for any late '80s supercar owner. This example is for sale with an asking price of $375,000, or, hopefully, best offer. A look at the GTP market suggests the seller is carrying about a $355,000 premium on the legacy of the previous owner. 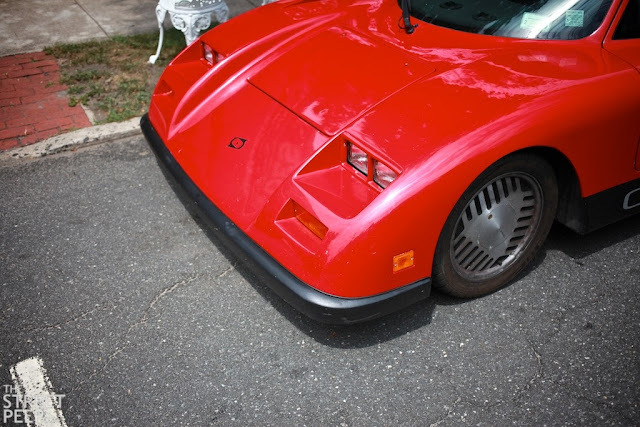 Mosler famously put up a $25,000 cash prize (upped to $100,000 with the introduction of the Chrysler Turbo III) to anyone who could wheel a production car faster than a GTP. Car and Driver stepped up to the plate with a stock Corvette C4 and bested the GTP around the Chrysler proving grounds. 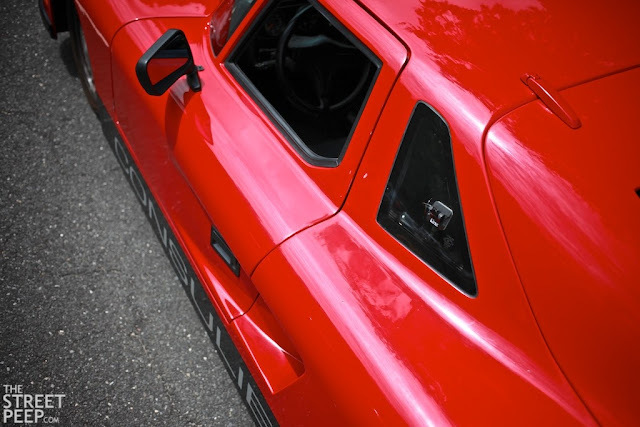 Mosler, however, was not satisfied with the condition of the test car and suggested some new terms to account for the fact that C&D had a $25k incentive to drive the car slow. A well-published spat ensued and C&D did not leave the test any richer. Competitor in Formula One, 12 Hours of Sebring, Italian Grand Prix, European rally circuit, Mille Miglia, 24 Hours of LeMans, Carrera Panamerica, and Daytona Beach. Winner of the 1951 Buenos Aires Grand Prix, first Yank in an American car to win at Sebring, and first SCCA national champion. Longtime Cunningham driver, Stirling Moss teammate, factory driver for essentially all European and American manufacturers in existence, and Bonneville Salt Flats competitor at the age of 89. Lime Rock's first general manager and a lifelong staple around the track, with additional contributions to Mosport and Watkins Glen track design. Fitch was also an avid innovator and made significant contributions to racing and transportation safety. The ubiquitous yellow cylindrical Fitch Barrier systems can found at nearly every highway median in the nation, offering slightly more relief than a concrete barrier at freeway speed. The term "legend" gets thrown around a lot, but John Fitch's lifelong highlight reel is a truly spectacular story. He passed away at the age of 95 last October, but was still tinkering and driving well into his final years. His obituary at the New York Times and Autoweek are worth your time. The historical record has not been kind to the Consulier GTP. To the amusement of its handful of subscribers, Time magazine ranked it as one of the 50 worst cars of all time. Any mention on online forums is met by similar heckles. The Steet Peep, however, would like to tip our collective hat towards the ingenuity and innovation required to cobble together the long misunderstood Consulier, and the legacy of John Fitch who had driven enough cars to appreciate the GTP's quirks. While Mosler may not have been the American Colin Chapman, he certainly gave this thing an excellent run. The chassis was ground breaking, the first production composite of its kind and an astoundingly light vehicle even by modern standards. 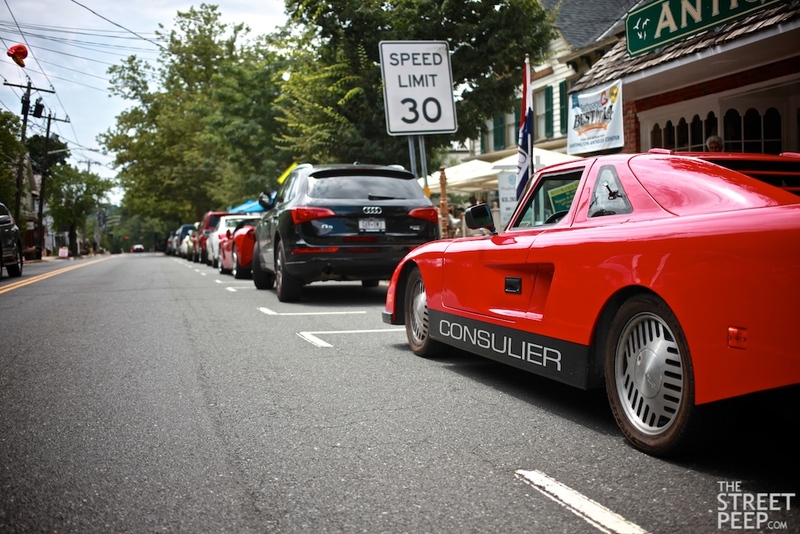 While the big manufacturers were busy stuffing the biggest motors into the heaviest cars they could make, a 2.2 liter Chrysler was good enough for Mosler. His $25k bet may have soured, but the man staked his entire reputation on the line for a chance to shake up the conventional supercar space. And the design is really not that bad. The louvers on the rear hatch are simply fantastic. The side profile and aggressive ducts behind the doors are quintessential late '80s in the best way. 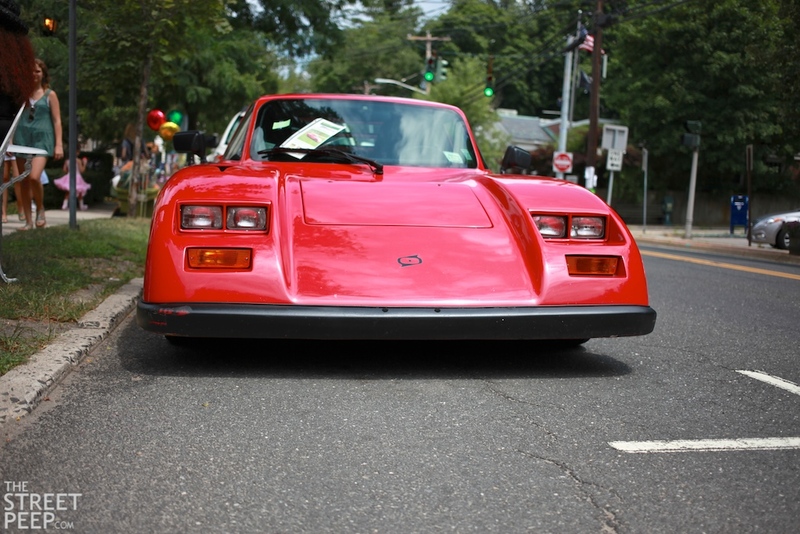 While the principal design inspiration for the front end was a bumper car, the rear slant is just plain mean. The skinny and significantly inset wheels certainly emasculate the formidable stance of the low slung targa, but one can appreciate the restraint to not stuff the widest and gaudiest set on there just to fill out the gap. Fortunately, the Mosler lineage lives on. 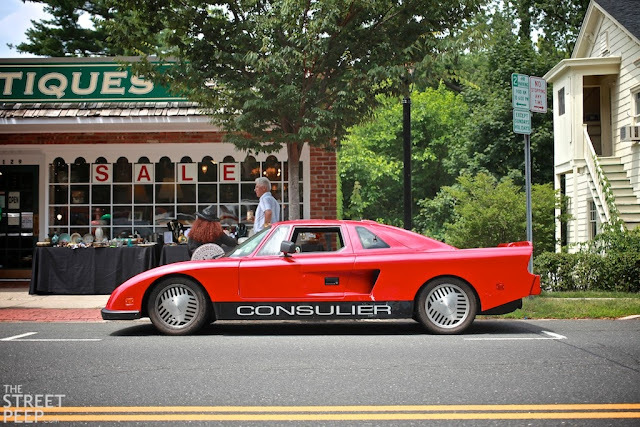 Consulier turned into Mosler Automotive in the '90s, which recently became Rossion Motorcars with the intention of taming the savage Noble M400 into a more palatable production car. 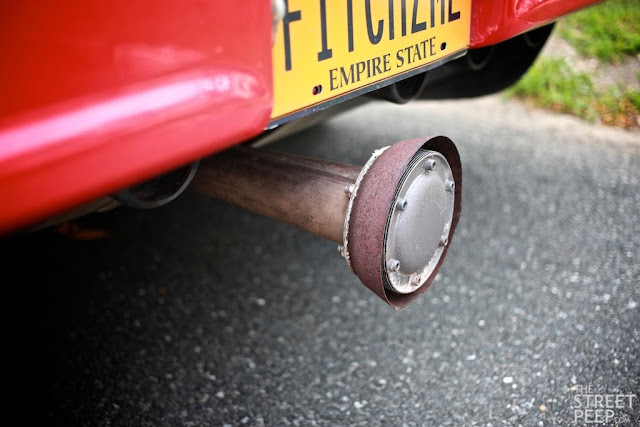 The world would be a much more interesting place if more Fitches drove Moslers around. Probably the most impressive use of (HALF!) a Post-It ever. Jack, amazing write-up. Fitch, amazing career. Consulier, you've got a lot of explaining to do. Try to get the 2.2l Omni in the shot for contrast next time. Superb. One of the best posts ever. Love it. And i'll be goddamned if I don't love a K-car powered supercar. What an amazingly energetic fellow John C. Fitch was. What a legacy. Fitch had no daughters. 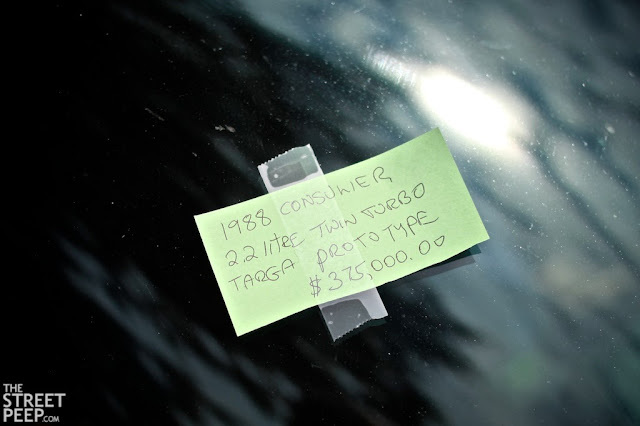 Terry, the car's current owner, claims to have cared for him in his final years. She owns a B&B next to the track. 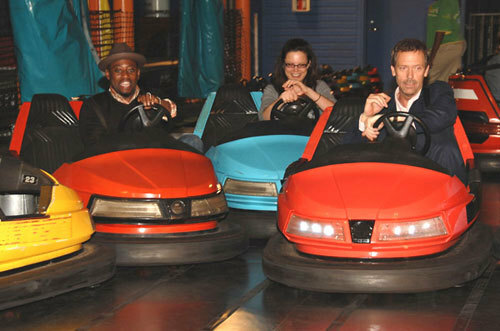 Terry is "colorful." Saw this car at The Shack in Northport a few weeks ago. Stopped and talked to the female owner for a few minutes,she seemed to be on a date so I didn't want to interrupt. It wasn't until I drove away that I realized the significance of the plates. This was Fitch's Consulier. Amazing. Similar engine to my 1989 Shelby CSX. I love the Consuliers, always have, really want one, guess I qualify as an "eccentric male" according to Fitch. Awesome car, hope I see it again.